Faheem Lodhi another non-terrorist jailed under Australia's 'anti-terror' laws? A man jailed for 20 years for planning a terrorist attack on Australia's electricity system has been refused leave to appeal to the High Court. 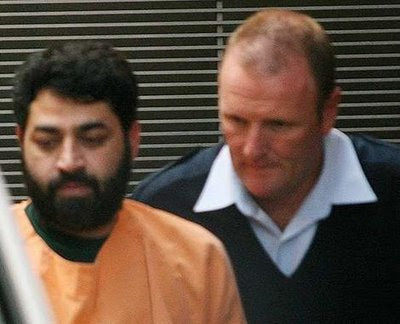 Faheem Khalid Lodhi was convicted two years ago of planning a terrorist attack in October 2003. He collected maps of Australia's electricity supply grid and sought information about chemicals used to make explosives. His 2006 trial was told he was an associate of convicted terrorist Willie Brigitte, who was deported to France. Today the High Court dismissed Lodhi's applications to appeal against his conviction and sentence.